When we moved to Médoc, one of the first things we did was drive through the vineyards for some chateaux spotting. As we explored further, we couldn’t help thinking how unreal it was to live in such beauty, and that it would become our everyday reality, not a two week holiday summary. I needed to find my bearings, and didn’t know where to start. 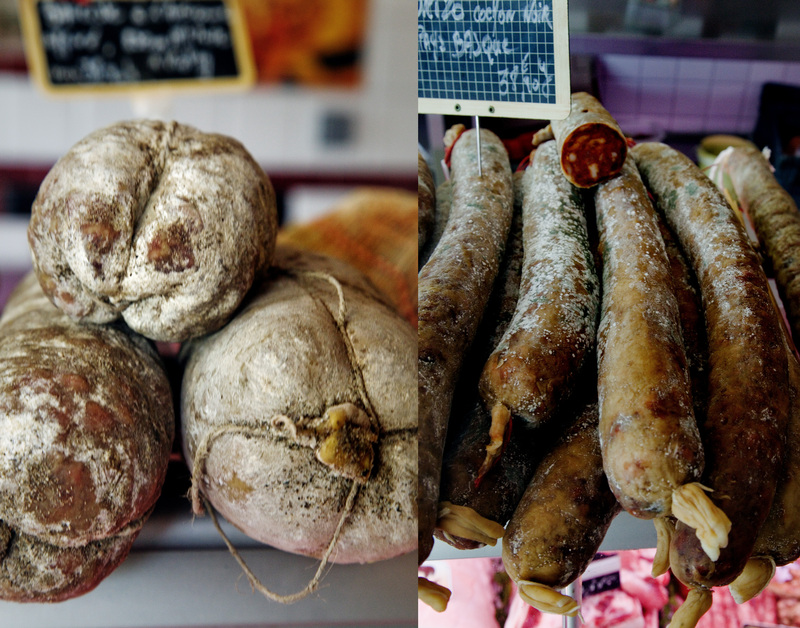 Luckily, we stopped at a nearby village, Pauillac, and drove South to Bages where I found my first gem, a butcher. As I stepped in, I couldn’t see anyone. However, I noticed some interesting and peculiar cannelés (French pastry from Bordeaux with a tender custard center and a dark, thick caramelized crust). They looked savoury, wrapped in vine leaves. All they needed was a tag with ‘Eat me!’ and I would become Alice in Wonderland. Something in my heart told me that this was the place to be. Then I saw big names all over the place – Bazas, Pierre Oteiza, AOC Prés-Salés du Mont-Saint-Michel. I smiled to myself thinking I had struck gold. It is not an everyday thing to see all these famous meat labels in one place. That’s when M. Yves Bruneau stepped out of his butcher’s ‘back office’. 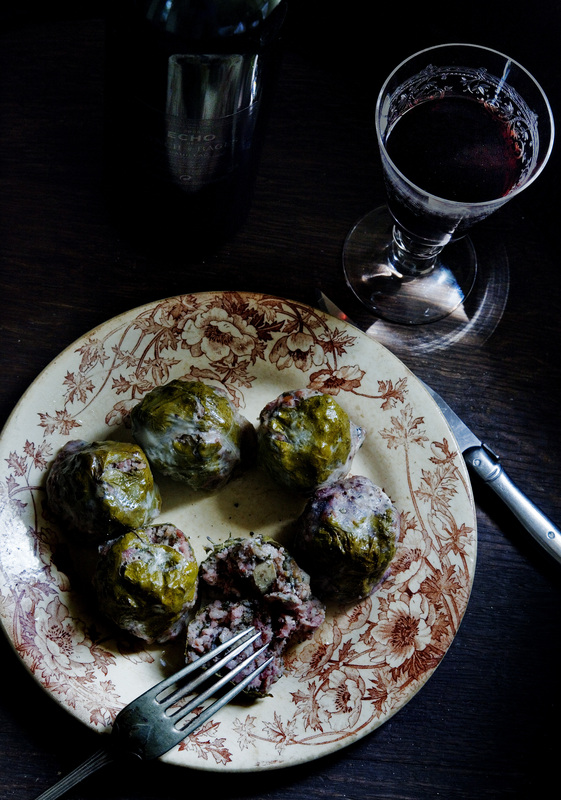 I introduced myself, explained how I left Paris for Médoc, how I loved food and cooking. And then he started to talk about his recipes, how he makes his savoury cannelés, how he cooks black pig filets, how he stews veal. I felt like I had met the guardian of my kingdom, and he was opening a new door for my cooking world. How’s that for a first encounter. 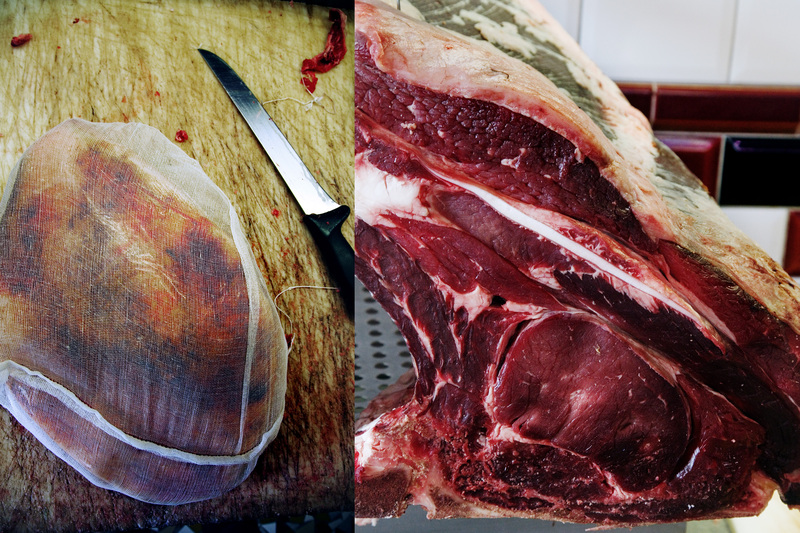 Yves Bruneau is no ordinary butcher. 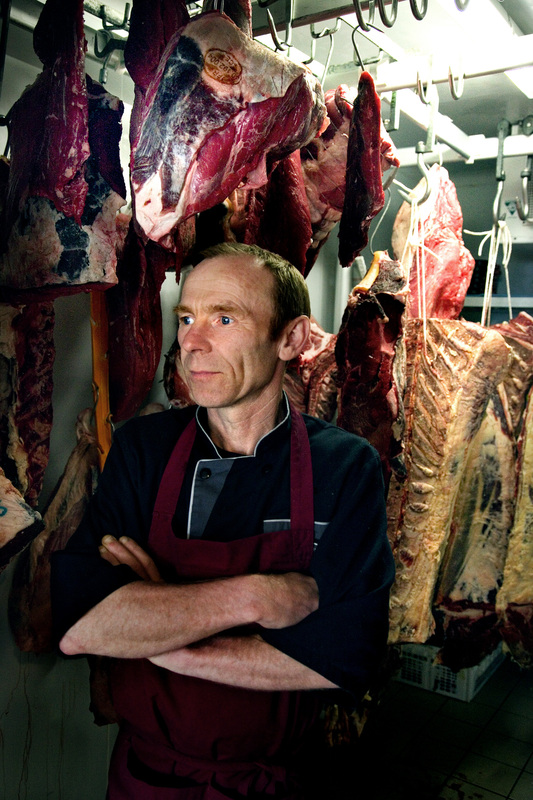 Ex-champion of France in cross-country running, Yves, originally from Normandy, is a true visionary when it comes to the art of being a butcher. He is passionate about his meat (he has been nominated fifth best butcher in France by the prestigious Gault et Millau guide), only chooses truly authentic labels, like the magnificent Bazas beef. 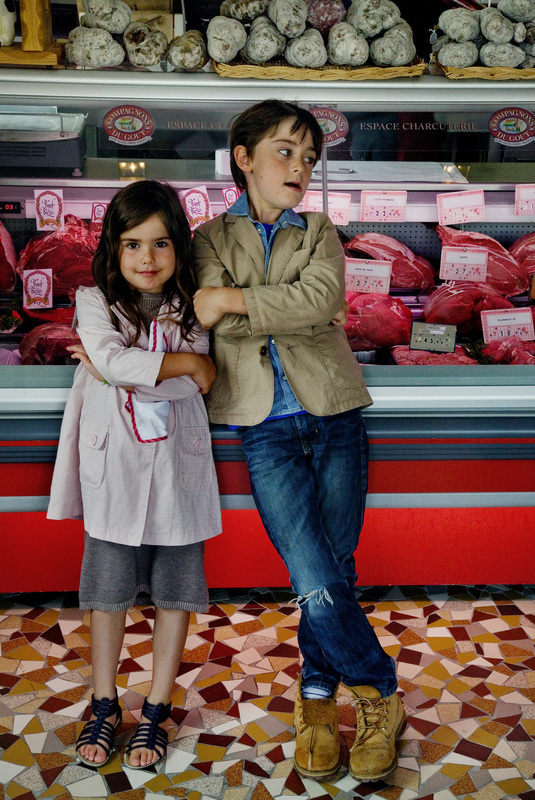 To connoisseurs, Bazas beef is one of the finest in the world, only sold at a dozen of the best butchers in France. The unusual grey cattle, bred in the Landes and Gironde region, is destined to masters only. 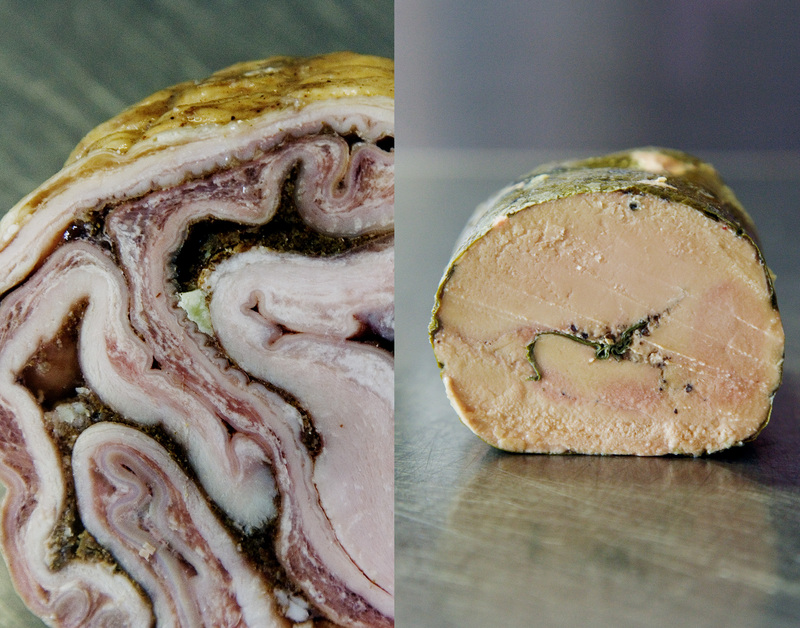 Yves has his own laboratory and dry-ages his meat for five weeks, enhancing the tenderness and producing the perfect taste. One of my favourite meat sold by Yves is the Basque black pig from Pierre Oteiza (Basque ‘master’ farmer and an artisan charcuterie maker) – the pigs are fed acorns and chestnuts, giving the meat a succulent melt-in your mouth nutty flavour. Yves is also a fine chef, always coming up with original ideas, from savoury black pig cannelés stuffed with foie gras, vine leaf infused foie gras, his home-made grenier Médocain (speciality of Médoc made of pig’s stomach, garlic and spices). When asked what is his favourite meat, Yves is proud to say the Bazas beef entrecôte. Yves was happy to share his recipe for these gourmet cannelés. You can always improvise and adapt to your liking with other types of meat – perhaps veal and porc combined could be a good alternative. Preheat oven 90°C. Mince or chop pork very finely, add salt and pepper and shape into a ball (about 8cm length and 5cm width). Make a hole with your finger and insert a cube of foie gras inside. Wrap the cooked vine leaf around the meat and secure with the caul faut ‘filet’ so it holds its shape. Repeat this procedure and place in cannelé cake moulds. Place your moulds in a large roasting tin, pour water so it comes up to nearly half of the mould. This process is called ‘bain-marie’. Bake for 2 hours and 30 minutes. Leave to cool in mould for one hour. Before serving, re-heat for 5-8 minutes in a warm oven.